All ours stones are suspended on transport cords with a length from 38 to 40 cm. We buy them directly from Chinese planisher in central China. Each cords can be extended and threaded on a jeweler's cord by adding a silver clasp and circle. Other additional elements such as clamps, balls and spacers are also silver 925. Bracelets we creat in a similar way. From lighter stones, we can make earrings and create a set. If You click on the pictures you will find detailed descriptions of size parameters. PRODUCT DESCRIPTIONStone: amethystTransport cord: 39 cm.Color: violet.Weight: 53-54 g.Diameter: 10 m.. PRODUCT DESCRIPTIONStone: amethystTransport cord: 38-39 cm.Weight: 23-24 g.Diameter: 6.5-7 mm.Number.. PRODUCT DESCRIPTIONStone: amethystTransport cord: 39 cm.Weight: 37-38 g.Diameter: 8.3 mm.Number of s.. PRODUCT DESCRIPTIONStone: lemonTransport cord: 38 cm.Shape: ballsWeight: 43-44 g.Diameter: 9 mm.Numb.. 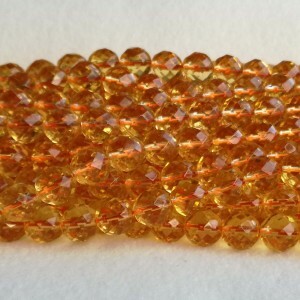 PRODUCT DESCRIPTIONStone: faceted lemonTransport cord: 35 cm.Shape: round facet.Weight: 47-48 g.Diam.. PRODUCT DESCRIPTIONStone: agateTransport cord: 39 cm.Weight: 36-37 g.Color / shape: color mix / oliv.. PRODUCT DESCRIPTIONStone: faceted agateTransport cord: 38 cm.Color: mix color; colors like in the pi.. PRODUCT DESCRIPTIONStone: amazoniteTransport cord: 38-39 cm.Weight: 55-56 g.Diameter of the stone: 1.. PRODUCT DESCRIPTIONStone: amazoniteTransport cord: 39 cm.Weight: 21-22 g.Diameter: 6.5 mm.Number of .. PRODUCT DESCRIPTIONStone: amazoniteTransport cord: 39 cm.Weight: 38-39 g.Diameter: 8.4 mm.Number of .. PRODUCT DESCRIPTIONGemstone: faceted agateTransport cord: 38 cm.Color: mix color; colors like in the.. PRODUCT DESCRIPTIONStone: faceted crystalTransport cord: 38 cm.Shape: round facet.Weight: 69-70 g.Di.. PRODUCT DESCRIPTIONStone: agateTransport cord: 39.5-40 cm.Weight: 138-139 g.Color: various shades of.. PRODUCT DESCRIPTIONStone: agateTransport cord: 38 cm.Shape: tireWeight: 23-24 g.Diameter: 6.5 mm.Num.. PRODUCT DESCRIPTIONStone: agateTransport cord: 38 cm.Shape: tireWeight: 40-41 g.Diameter of the ston.. PRODUCT DESCRIPTIONStone: jade faceted blueTransport cord: 39 cm.Color: turquoise.Shape: round facet.. PRODUCT DESCRIPTIONStone: lapis lazuliTransport cord: 39 cm.Shape: tireWeight: 50-51 g.Diameter: 10-.. PRODUCT DESCRIPTIONStone: lapis lazuliTransport cord: 39 cm.Shape: roundWeight: 94-95 g.Diameter: 12.. PRODUCT DESCRIPTIONStone: lapis lazuliTransport cord: 39 cm.Shape: roundWeight: 42-43 g.Diameter: 8-.. PRODUCT DESCRIPTIONStone: lapis lazuliTransport cord: 39 cm.Shape: tireWeight: 50-51 g.Diameter: 8.5.. PRODUCT DESCRIPTIONStone: purple agateTransport cord: 38 cm.Stone shape: rectangularStone size: leng.. PRODUCT DESCRIPTIONStone: crystal cloudTransport cord: 39 cm.Weight: 84-85 g.Color: various shades o.. PRODUCT DESCRIPTIONStone: agateTransport cord: 38 cm.Shape: tireWeight: 75-77 g.Stone size: thicknes.. PRODUCT DESCRIPTIONStone: tiger's eyeTransport cord: 40 cm.Weight: 88-89 g.Diameter: 12.5 mm.Number .. PRODUCT DESCRIPTIONStone: tiger's eyeTransport cord: 40 cm.Weight: 189-190 g.Diameter: 18.5 mm.Numbe..